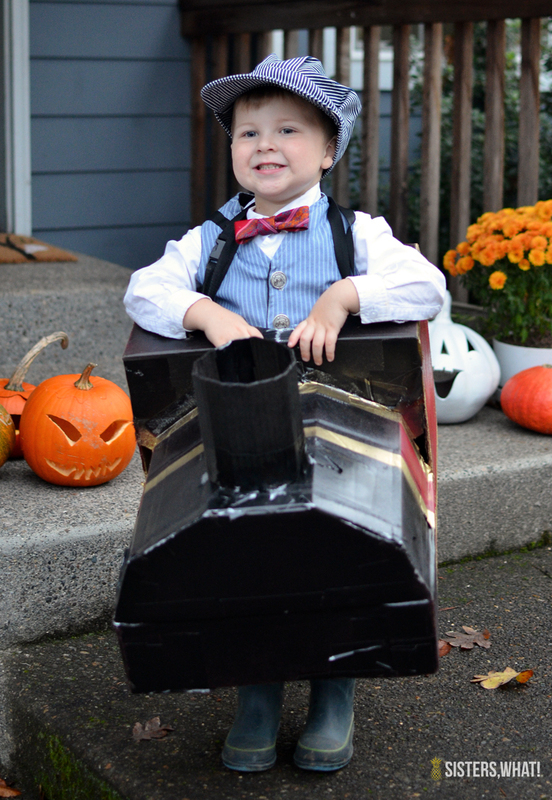 ' Toddler Train Engineer Halloween Costume made out of Cardboard Box - Sisters, What! 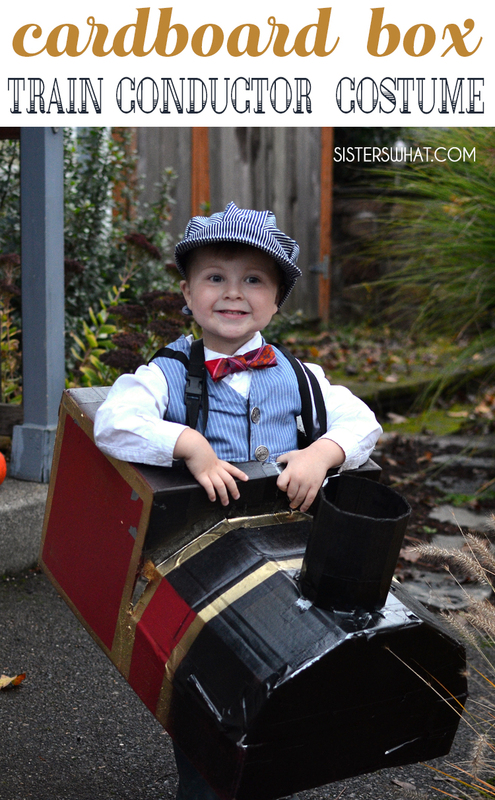 This fun Halloween Train Costume was easy to put together. 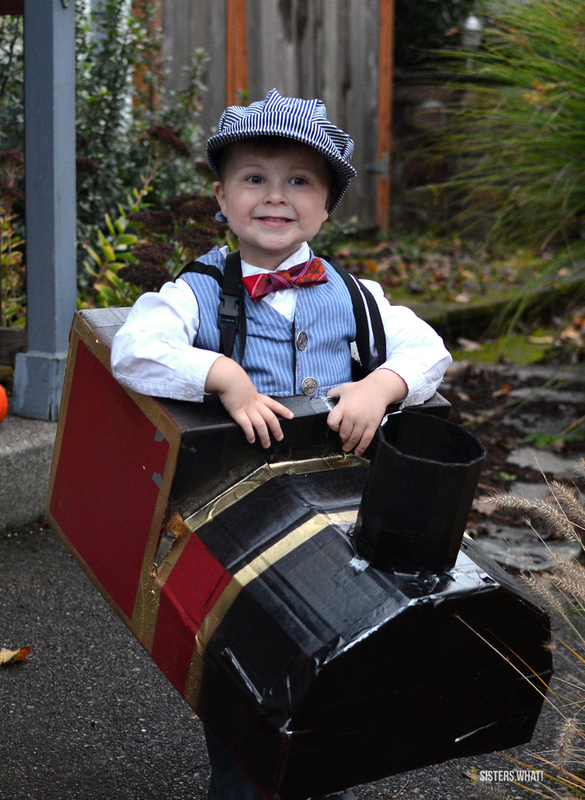 The actual train was made out of cardboard diaper boxes, duck tape and spray paint. 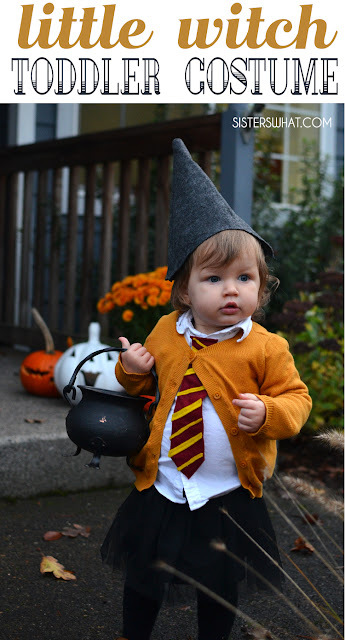 I shared a bit ago HERE my little girl's Hermione little witch toddler costume. 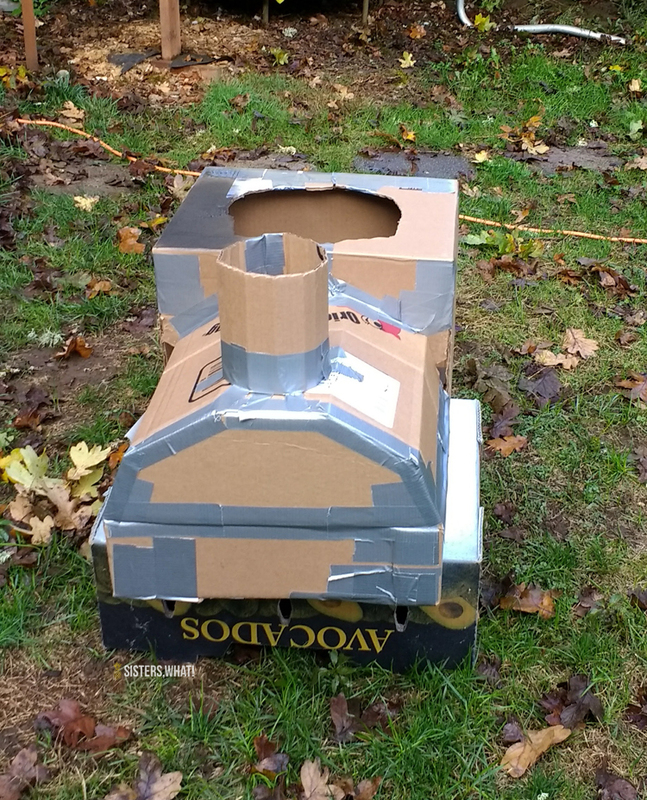 Well, I talked about how my second son decided he wanted to be a train conductor, so my husband made him a train out of cardboard boxes and I painted it black, gold and red for him. 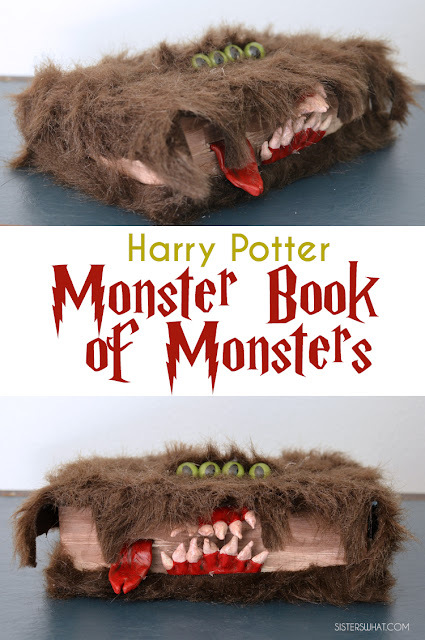 He was unofficially the hogwarts express. - Vest: we used this vest that I made for my oldest when he was 3. - The train hat: you can buy anywhere, but we happen to have his dads from when he was a kid. - Bow tie: was made out of an old tie of my dads. 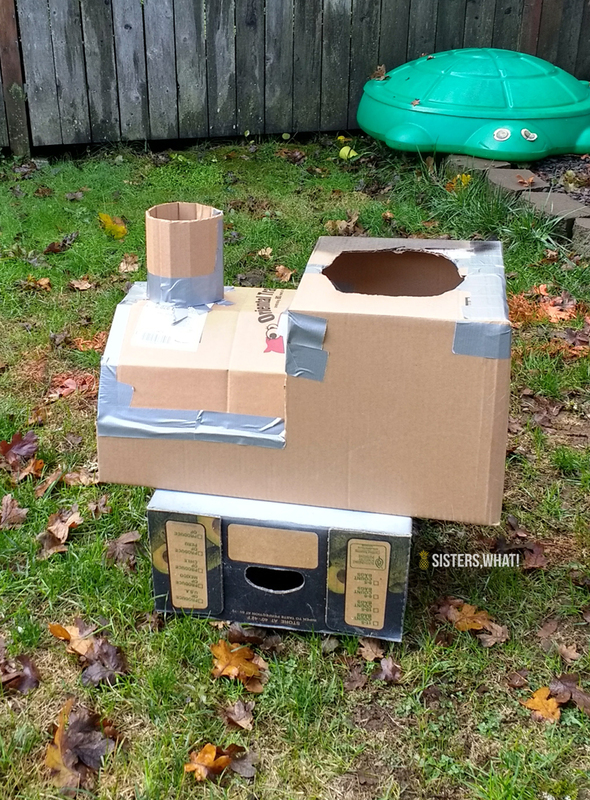 It wasn't too difficult to make, just a few cardboard diaper boxes cut to size and shaped and then ducked taped together. 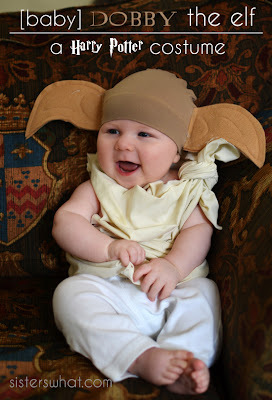 Then we cut a hole in the middle and added straps for him to wear. It was perfect. Fun how all the pieces came together.